In the beauty space, there are a few brands whose very name is legendary in its own right. Amongst the countless companies (both indie and global alike), Elizabeth Arden is one of those brands. 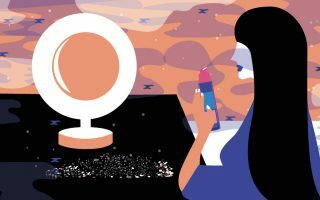 Started by its namesake founder, this beauty company evolved from a modest beginning into one of the longest-running and most respected cosmetic empires in the beauty industry. From a portfolio of iconic Elizabeth Arden products that include Elizabeth Arden skin care, makeup, and fragrances, though it has undergone changes and ownership, Elizabeth Arden still remains a legacy brand today with products love by skin care enthusiasts, novices, and experts across the globe. Elizabeth Arden, Inc. was the innovative creation of beauty entrepreneur Elizabeth Arden. Originally born Florence Nightingale Graham, Elizabeth Arden disrupted the beauty world forever in the early 20th century. Elizabeth Arden was an icon, an official advocate of beauty who believed not in makeup, but in product development alongside nature to enhance women’s natural beauty. Her mantra “To be beautiful is the birthright of every woman” is one that still flows through the brand today. In the humble beginnings of the Elizabeth Arden brand, Elizabeth Arden began creating skin care products that worked to improve the skin instead of focusing on makeup to conceal. Some of the first Elizabeth Arden skin care products included the cult favorite Eight Hour Cream, while in the makeup and fragrance spaces the first Elizabeth Arden products were bold red lipsticks and an iconic Blue Grass Fragrance. The Elizabeth Arden process was simple: to fuse skincare with science for formulations that really worked. It didn’t take long for Elizabeth Arden products to expand into other spaces making the brand a pioneer in eye makeup and even travel sized beauty. By 1930 when the first Elizabeth Arden Red Door salon on the prestigious Fifth Avenue in New York City, the brand (and the woman behind it) had solidified their place as beauty pioneers. Elizabeth Arden had become a household name known around the world in which it still remains today. Just as the Elizabeth Arden brand operated those decades ago, the brand of today is committed to innovative cosmetic science and fulfilling the beauty needs of women around the world. The Elizabeth Arden skin care products are carefully formulated using expertly crafted and curated ingredients that are able to transform the appearance of the skin. While there are many standalone ingredients to be found in Elizabeth Arden skin care products, the brands’ proprietary blends are the most impressive aspects of their formulations. Idebenone – This potent antioxidant is known to be one of the most powerful antioxidants available on the market today. Rigorously tested against environmental stressors, Idebenone works within Elizabeth Arden products to protect the skin against pollution, UV exposure, smoke, and other common environmental irritants. When compared to other antioxidants, Idebenone works better than other popular options including vitamin C, E, and coenzyme Q10. Ceramide Triple Complex (1, 3, 6) – This ceramide complex works within Elizabeth Arden products to improve the strength of the skin. As skin naturally loses nutrients over time, the Ceramide Triple Complex mimics the skin by helping to replace and repair allowing firmer, stronger, and more even-textured skin. It’s also great in helping to lock moisture in the skin making it a common ingredient in Elizabeth Arden moisturizing products. Premiere Retinyl Complex – Another powerful complex found in Elizabeth Arden products is the innovative Premiere Retinyl Complex. This proprietary Elizabeth Arden blend was specifically formulated to treat the most sensitive skin types. A blend of retinols, which are vitamin A derivatives commonly used in anti-aging products, the Elizabeth Arden Premiere Retinyl Complex helps to stimulate the skin’s natural regeneration process and boost collagen and elastin production. Advanced MI Concentrate – One of the most common skin concerns is redness in the skin. Whether caused by irritation or more serious skin care concerns like rosacea, the Elizabeth Arden Advanced MI Concentrate focuses on neutralizing redness. This concentrate contains a blend of vitamin B3 and C that helps to reduce common skin discoloration and provide the skin with a more even complexion. The Elizabeth Arden brand we know today consists of numerous skin care, makeup, and fragrance products. While each category has products that standout, Elizabeth Arden skin care products will always shine. If you’re looking to try a few Elizabeth Arden products, these skin care options are the place to start. Elizabeth Arden Prevage Anti-Aging Daily Serum: This Elizabeth Arden skin care favorite is a nourishing serum designed to be used on a daily basis. The Elizabeth Arden Prevage Anti-Aging Daily Serum provide countless benefits to the skin most notably reducing the signs of age by smoothing fine lines and wrinkles, neutralizing dark spots, and healing sun damage. This Elizabeth Arden serum also works to protect the skin against environmental free radicals that can aid in premature aging. Inside its powerful formulation, you can find antioxidant Idebenone along with additional antioxidants lipchroman 6 and thiotaine, and a green tea blend that helps to combat irritation. Ceramide Premiere Intense Moisture and Renewal Activation Cream Broad Spectrum Sunscreen SPF 30: If you’re looking for a nourishing moisturizer that doesn’t skimp on protection and anti-aging benefits, this is it. The Elizabeth Arden Ceramide Premiere Intense Moisture and Renewal Activation Cream deeply moisturizes the skin while it works to revitalize the appearance and texture. When applied, this Elizabeth Arden cream strengthens the skin’s natural barriers and boosts collagen production. Inside, you’ll find the brand’s powerful retinol complex, calcium and amino acids to strengthen skin, brown algae to stimulate skin cell metabolism, along with a healthy dose of SPF 30 to shield the skin from the harmful rays of the sun. Skin Illuminating Brightening Night Capsules With Advanced MI˟ Concentrate Duo – Dealing with dull, irritated skin that looks blotchy and damaged? 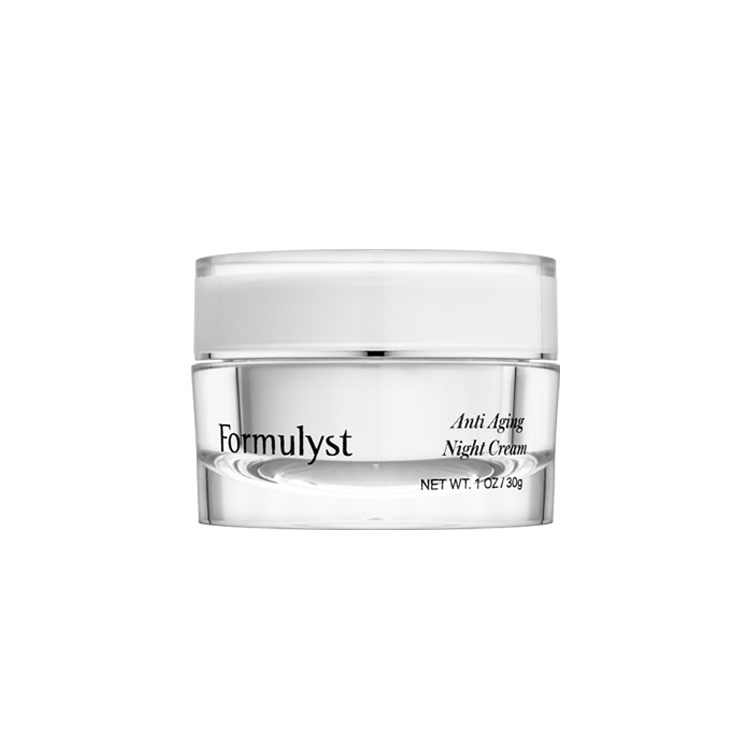 This rejuvenating Skin Illuminating Brightening Night Capsules might be just what you need to turn your skin around. These innovative Elizabeth Arden capsules help to clear blemishes and neutralize discolorations that are causing uneven complexion. 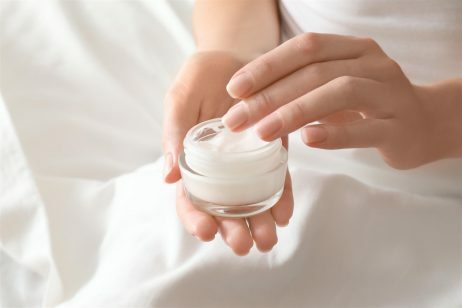 They also help to stimulate collagen and elastin helping to strengthen, tighten, and firm the skin. This Elizabeth Arden duo is formulated with the brand’s Advanced MI Concentrate, licorice extract to brighten the skin, and powerful botanical extracts that work to reverse environmental damage to the skin. As a legacy brand, Elizabeth Arden is home to reviews across the spectrum but the majority of the Elizabeth Arden review celebrate the company for its highly effective skin care products. Common Elizabeth Arden reviews highlight changes in the skin like brightness, improved radiance, and a more even texture. Not only does Elizabeth Arden have a host of reviews from new and loyal customers alike applauding the brand for their innovative products that have helped transform the appearance of their skin, the brand is also home to numerous clinical Elizabeth Arden reviews to support all of its claims. Some of the most impressive clinical Elizabeth Arden reviews note a reduction in the appearance of wrinkles and fine lines along with the improvement of skin tone and complexion. I have used Elizabeth Arden for 30 years. Visible Difference, Ceramide, and Millinium. I am 70 years old and have no wrinkles!! You cannot start off with the more advanced formulas because you will see irritation. You must start with the formula for younger skin and gradually move up. CLEANSE, TONE, MOISTURIZE, and you will see amazing results. Love EA. I always had the impression that this brand was no longer “modern” or updated. I think they had a very unstable position in the market. In the middle of the 90’s, they went down. They didn’t come with anything new and exciting, it was always new products in already existing lines like 8 Hours, Ceramide… But somehow it began to change and their position has been improved, but is still not so good as it used to be. Any way, for some reason i decided to try two products of them because I somehow always felt attracted to them. The result could not be better, and since then I’m trying out more and more to the point that right now almost my whole skin care products are from Elizabeth Arden. They should do a much better marketing because this brand is absolutely stunning and gorgeous!!!. I am new to using Elizabeth Arder skincare; in only two days I got immediate result of using Ceramide Purifying cream cleanser, Ceramide Purifying Toner and Ceramide Premier skincare, day cream, night cream, Regeneration Eye Cream and Ceramide Gold capsules. Before trying Elizabeth Arden I used Estée Lauder for many years it was ok, just lightly maintainance and I waited to finish my supply. My skin was getting dull, uneven pigmentation and aging look, then decided give a tried Elizabeth Arden and my skin never been better. I am stonish about the radiance of my skin. I wish I have a picture of before and after. Hi. I am a new Prevage user!! I love the Product. But was wondering why I’m breaking out Sooooo Badly!!! I’m 44. I’ve never had bumps that are on the lower jawline. The other side is trying to do the same. I’ve been using this product for over two weeks. Should i continue using or Stop. Sorry to see you were disappointed with the products you ordered. If you’re still in the market for a skincare regimen that works for you, I would love to tell you about Rodan and Fields. Have you ever heard of it? I am an Executive Skincare consultant for the company and would love to introduce you to our products. 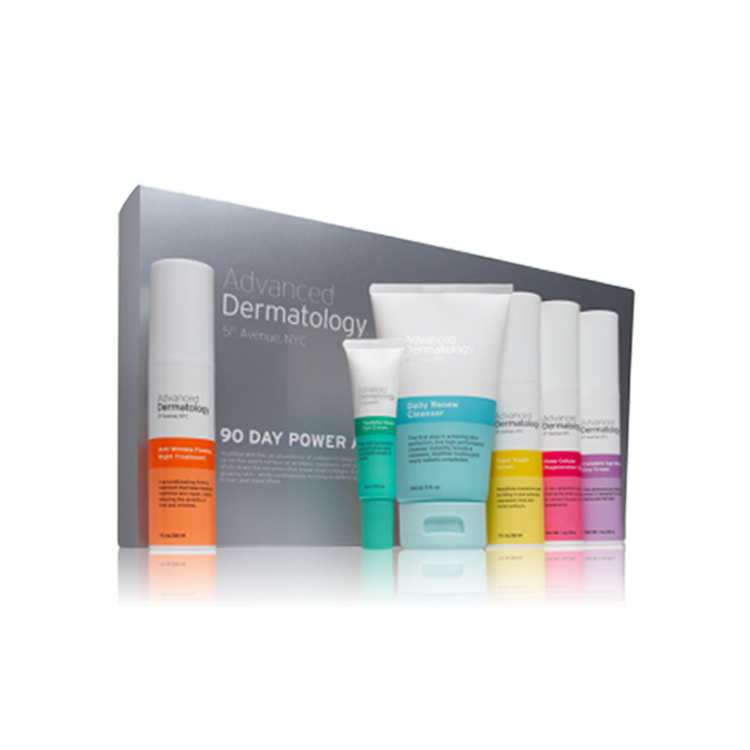 If you’re still searching for skincare, feel free to contact me via email at astone@caldwellhosp.org. If you would like to check out the products before contacting me, my website is alstone.myrandf.com. Really bummed because i payed so much for these products and have very dry skin,but it made my face itch, red and burn. I used Elizabeth Arden when I was in my 40’s but switched to Estee Lauder when I was 56. This Elizabeth Arden Ceramide Collagen Moisturizer was not available back then. I worked in public relations for most of my life and looking good was an important part of my job. I am going to give it a try. I will go to Macy’s next week to talk about it further. I have to say since I started using PREVAGE Anti-aging Eye Cream Sunscreen I noticed my dark circles were reduced. So it seems as though the sun was causing my dark circles. I have not tried other Elizabeth Arden skin care products but next time I go to NYC I will try out the range. I am usually a big of the Elizabeth Arden Skin Care but I found Prevage to be very irritating. And I do not like the smell at all. I used it twice but the smell makes my feel sick. I hope Elizabeth Arden never discontinues Ceramide Lift and Firm Night Cream. This product is a miracle and I cannot go a day without it. I wish I had as positive things to say about Prevage as I am a biz Arden fan but my skin reacted to it and I stopped using after 2 days. I am going to Elizabeth Arden red door spa for my birthday next month. It was a present from my godmother. First visit to a spa so nervous but more excited. I hope I can try some of their skin care products as well. It all sounds very luxurious. I love Elizabeth Arden Ceramide Collagen Moisturizer. I have noticed it plumps up the skin if you use it for a few months but you need to use it both at day and night and apply it on the face and neck. Manage it in and make sure you keep massaging until it is fully absorbed. No need for surgery hehe. I like the Elizabeth Arden Ceramide Collagest boosting serum and moisturizer. I am not sure about Prevage thougn. Try the Visible Differece cleanser and moisturizer as well. Hard to explain but you will know what I am talking about after you use it. Very nice on the skin. Elizabeth Arden is the oldest skin care company in the world and I am happy to continue to use their products for the years to come. I agree about Elizabeth Arden Eye Creams. I tried many eye creams before I was recommended an Elizabeth Arden Eye cream and it actually worked better then any other product that I had ever used before. Now I am going to try the Prevage and 8 Hour cream.